The Maruti Suzuki Celerio Tour H2 variant is positioned between the LXI and LXI(O) trim and has been launched for the fleet market. The car comes pre-fitted with a speed-limiting device as standard, limiting the top-speed to 80 kmph. Maruti Suzuki India has launched a new Celerio Tour H2 variant for the fleet car market, priced at ₹ 4.20 lakh (ex-showroom, Delhi). The new Maruti Suzuki Celerio Tour H2 is positioned between the LXI and the LX(O) variants of the car and is slightly more expensive than the base model LXI variant. Considering the car has been introduced for cab aggregators and taxi services, it comes pre-fitted with a speed-limiting device as standard, in line with the new Indian government regulations. Because of this, the top-speed of the Celerio Tour H2 is limited to 80 kmph. Under the hood, nothing has changed, the Maruti Suzuki Celerio Tour H2 continues to offer the same K10B 998 cc three-cylinder petrol engine that makes about 68 bhp and develops 90 Nm of peak torque. The engine comes mated to a 5-speed manual gearbox as standard. The car comes with a kerb weight of up to 850 kg and offers a cabin capacity for 5 average-sized people (including the driver). The boot offers a storage capacity of 235-litres. Visually, the Celerio Tour H2 looks identical to the LXI variant and comes with features like - black grille, halogen headlamps, provision to add foglamps, black side mirrors and door handles. The cabin comes with an illuminated instrument cluster, manual air-conditioning, pivot type outside mirrors, and fabric upholstery. 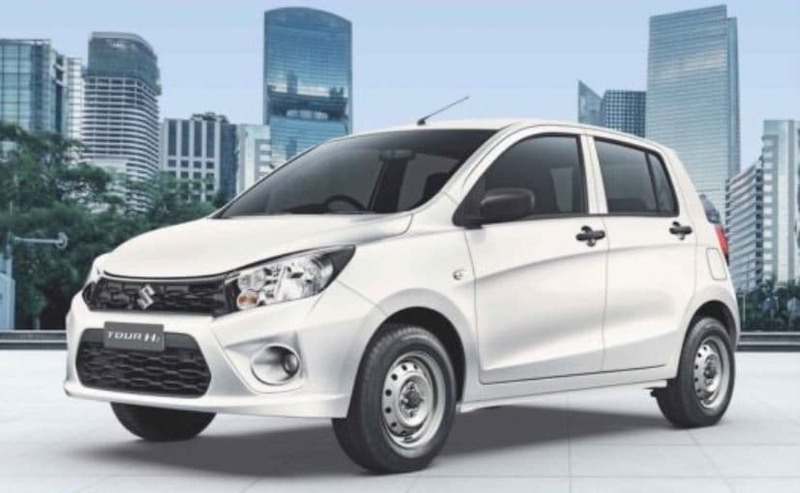 To keep costs down, the Celerio Tour H2 might miss out on few features. Among its other models, Maruti Suzuki India also offers a Tour version of the Dzire subcompact sedan for the taxi market, which is based on the old-gen Maruti Suzuki Swift Dzire.